Over time, as equipment is brought in and taken out of heavy equipment auctions, it’s easy for inventory lists to become outdated. At Alex Lyon and Son, we are always taking a fresh look at our auction inventory. 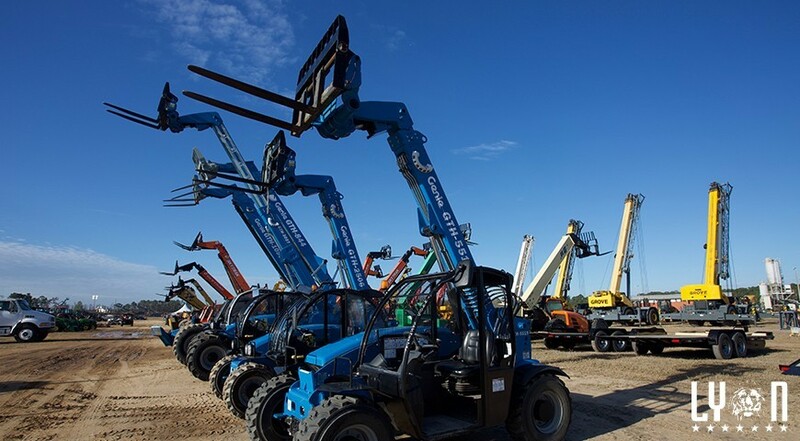 We categorize our existing fleet for heavy equipment auctions and determine what equipment should stay, what should be sold and what should be added. If selling to heavy equipment auctions is the best route for you, there are a few things that should be done prior to reaching out to a sales agent or auction house. Machine preparation is the first step no matter how you intend to sell the equipment. However, too much prep might create suspicion in the buyer’s mind and could be detrimental to a sale. Once the machinery has been prepped, it’s ready for inspection. Depending on the method you use to sell the equipment, some sources do not require inspection reports. However, many sources have in-house inspection teams that help sellers complete inspections prior to the sale of equipment. This is an invaluable tool and something that should always be considered. Getting your machines ready for heavy equipment auctions is only half of the process. Now that the equipment is prepped for sale, consider which selling option is best for you. If selling at heavy equipment auctions is your preferred method, then it is important to understand the contractual obligations of each auction house before selecting the right one. This includes knowing and understanding all of the terms and conditions while the machinery is out of your control, whether you are the buyer or seller. Since traditional heavy equipment auctions usually require transporting the equipment to an auction location, know that sometimes there are fees associated with relocating the machinery as well as storage fees on the auction house property. Also, know what happens if repairs need to be made or damage occurs while the equipment is in transit or at the auction location. It is important to understand the terms and contractual agreements up front, because some contracts might be incompatible with the way your company does business.